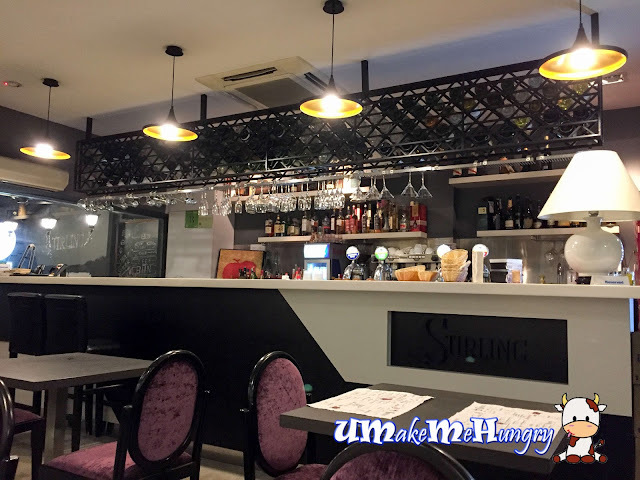 A recent rave about Thai Milk Tea infused waffles had lured me to Stirling. Unfortunately, I was way too early for their kaffles as Kaffles is only available on Saturdays, 6pm - 1pm. 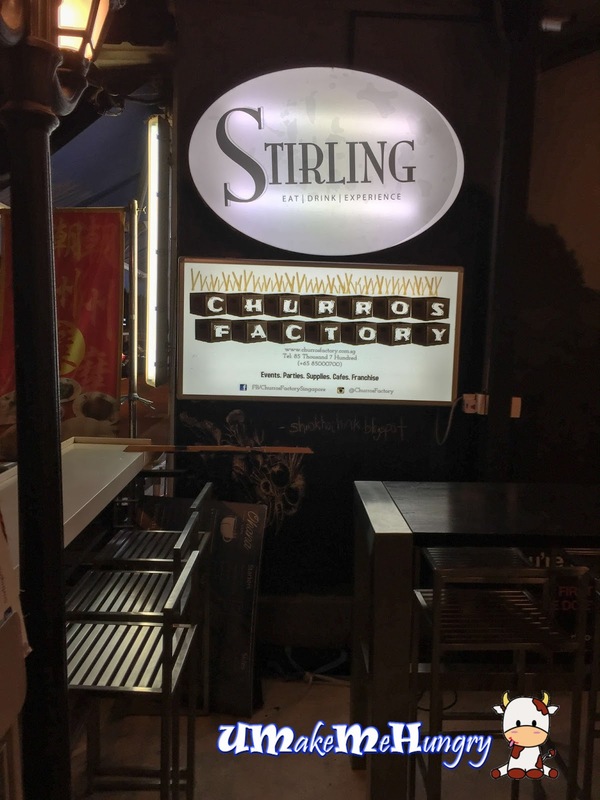 By the way, it was not a total disappointment as they do also offer Churros on a weekday night. Stirling is located along the stretch of shop-houses at Cheong Chin Nam Road, opposite Beauty World Centre. 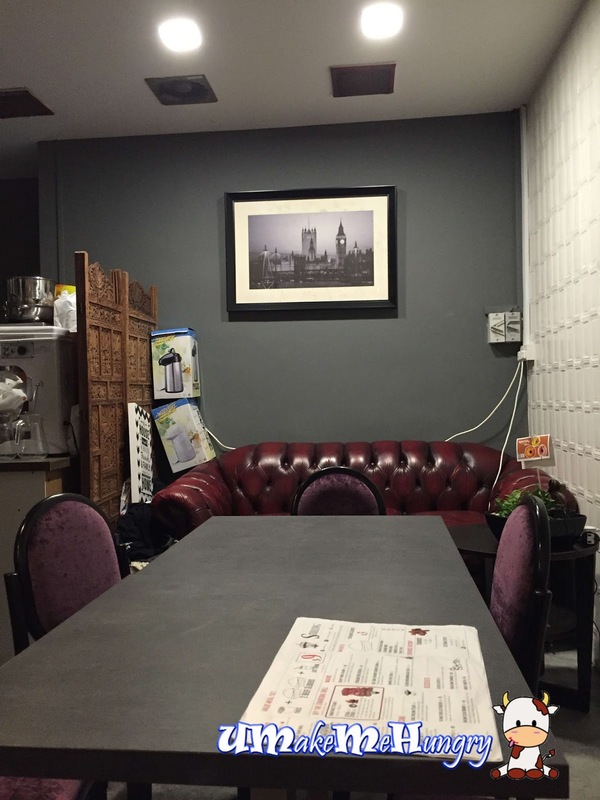 Interior was modernly designed with wine racks hanging from the ceiling. Tone of the in the indoor dining area was cozy and comfortable with purple plush chairs to the tables. With Churros at Holland Village closed down, it was hard to see such snacks again in my vicinity. Churros serving comes in 4 or 7 at $6 and $8 respectively. 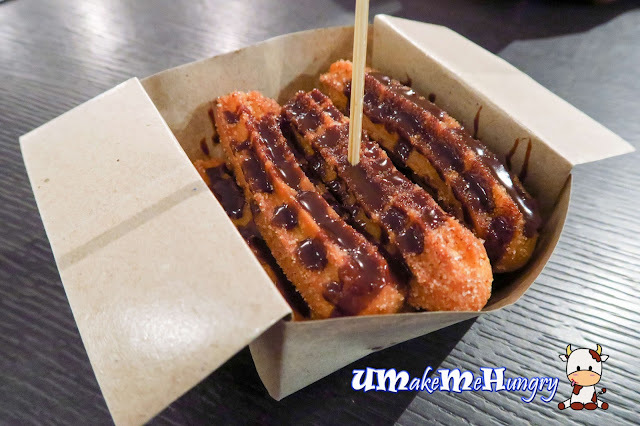 Every serving of Churros is accompanied by chocolate drizzle. I was rather surprised by how it was served when I was presented with a folded box made of grease paper containing the 7 sticks of Churros but I guess this has been the common practice for Churros Factory. Churros was great with thick and with creamy chocolate sauce coated tasted coupled with hints of cinnamon powder, also sugar dusted yet not overpowering the taste as an overall. 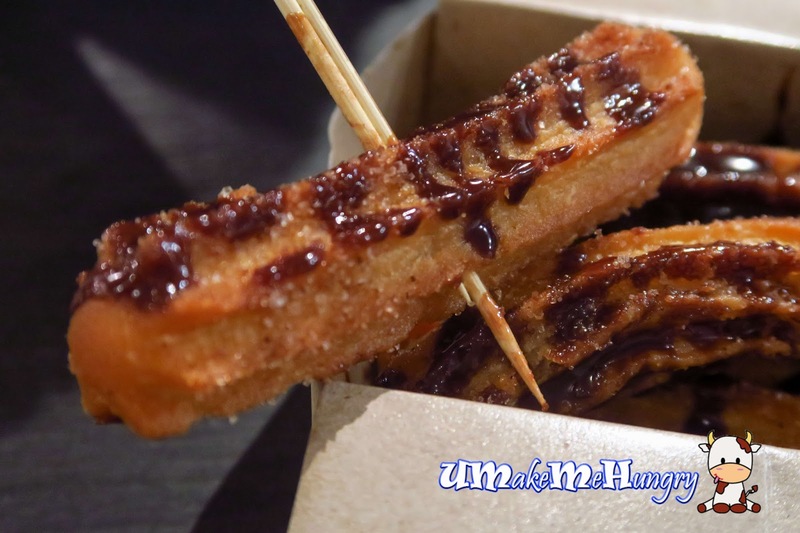 These deep fried dough stick were delightfully crunchy and chewy. 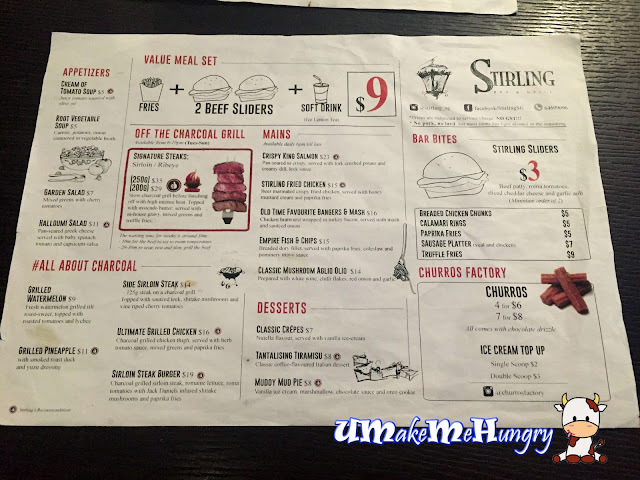 In their "# All About Charcoal" Section in their menu, we ordered their Ultimate Grilled Chicken as well as their Sirloin Steak Burger from Stirling's recommendation. It's kind of rare to chance upon restaurant serving charcoal prepared food and the thought of it made us happy. 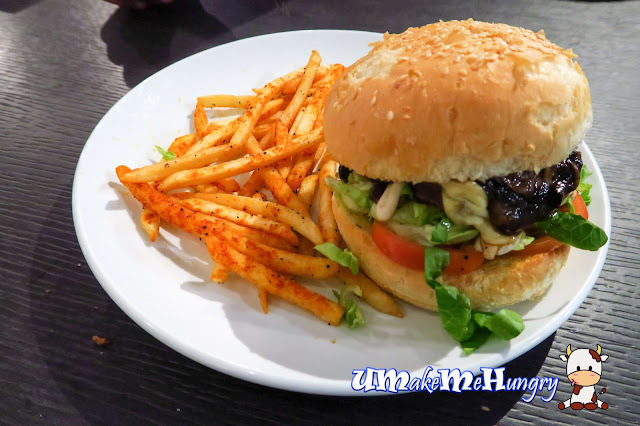 Burger and fries made a meal. Simple and sweet. With Charcoal grilled Sirloin Steak prepared to medium well done, coupled with romaine lettuce, roma tomatoes with Jack Daniels infused shitake mushrooms, the sight of it was simply mouth-watering and I could not resist to place my fork on it. 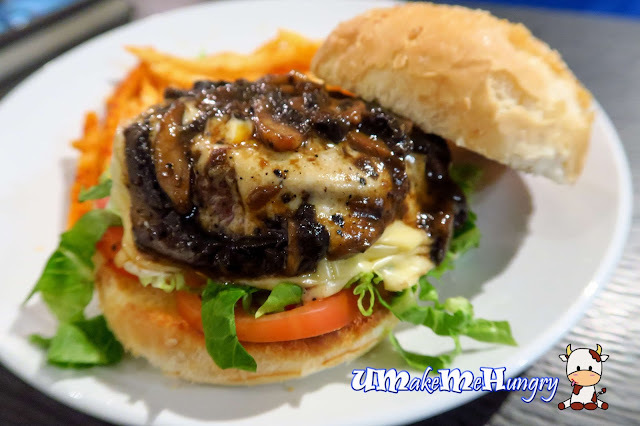 What I like about the burger was that Steak was used here instead of meat patty, with such, you can really feel the difference here. 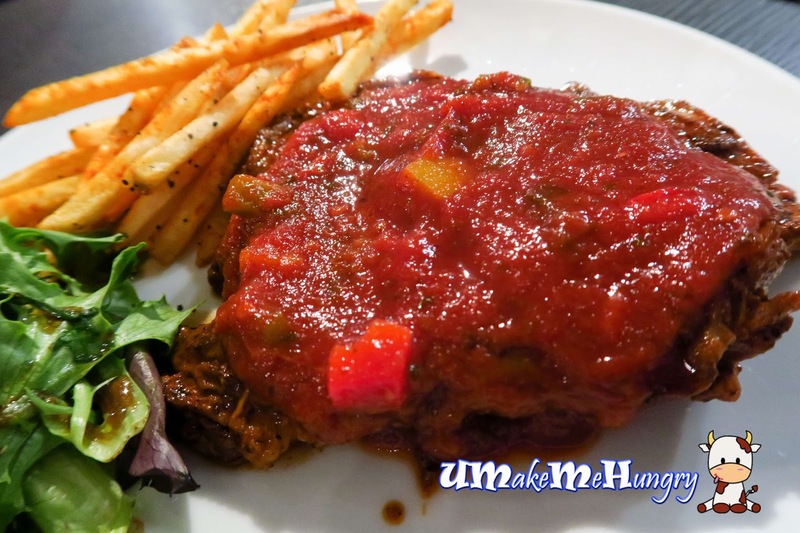 Paprika fries was a letdown on the plate with its dry texture and hard bites. What had gone wrong? Ultimate Grilled Chicken made up of chicken thigh, the same paprika fries as the former dish and mixed greens with vinaigrette. 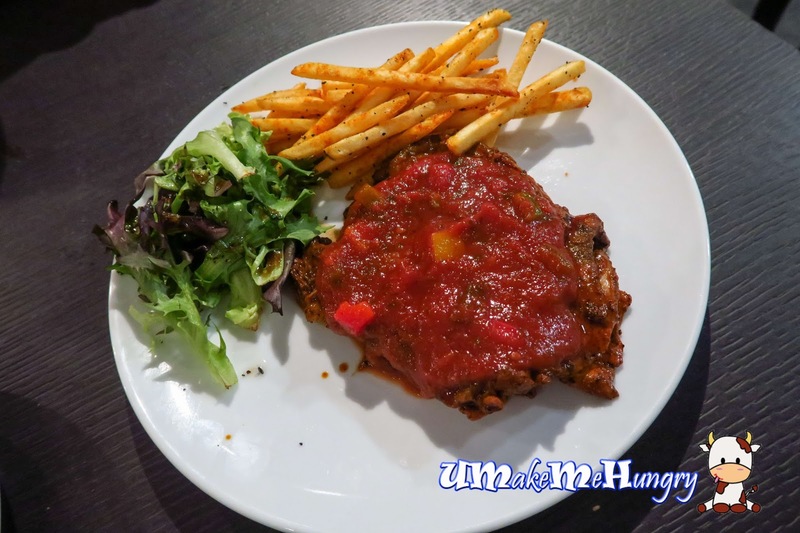 Charcoal grilled chicken thigh meat was beautifully done smothered with a good coat of tomato sauce and herbs. Meat was tender and you can even smell the trace of charcoal flavored taste throughout the munch. Not only that, I do like the diced capsicums which went well along with the thick savoury sauce over here. Tiramisu did not score well and was not within the expectation. 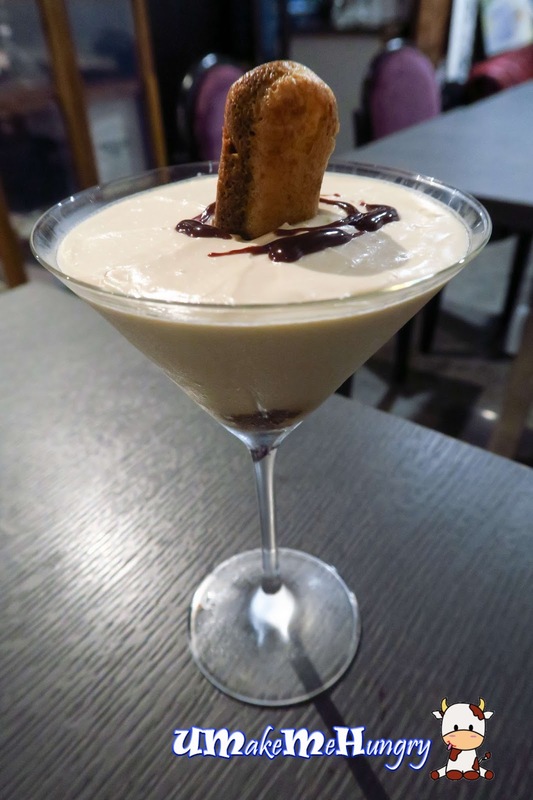 It was served in a Martini glass with soaked ladyfinger / sponge finger surrounded by the mixture of Mascarpone cheese and egg whites. No doubt that it was soaked in Espresso, it was only half soaked, the aromatic beverage did not permeates into the sponge and did not have a coffee infused flavour. Skipping of alcohol in the dessert is fine for me but the surrounding cheese were simply harder than pudding and totally wipe off my kind soft and melts in your mouth Tiramisu. Hits and misses, the charcoal grilling food served was really unique to their own and it's well worth the experience even though quite an amount of time was required for the wait. For those who are making payment by credit card, do note that Stirling accepts NETS and Cash only. I will be back again soon but for their Kaffles, STAY TUNE!